A new Tea Collection sale started today! You can save an extra 25% on sale items with the promo code. The Bo-Kaap Trapeze Mini Dress is selling at TeaCollection.com right now for just $17.50. That's 35% off the original price of $27.00. When you apply the promo code, you can get this dress for just $13.13! 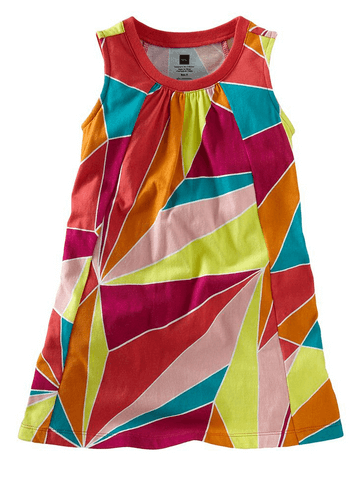 This dress is currently available in sizes 6-12mos up to a girl's 12. To take advantage of this deal, add the sale items you like to your shopping cart and checkout at TeaCollection.com using Tea Collection promo code 25SAVE by 6/29. $7 flat rate shipping for orders up to $150.00. Orders over $150.00 ship free!